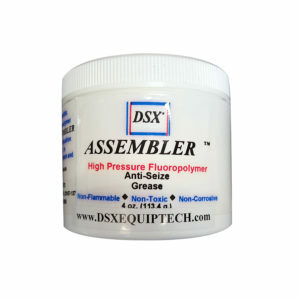 DSX Assembler Grease | DSX Equipment Technology, LLC. 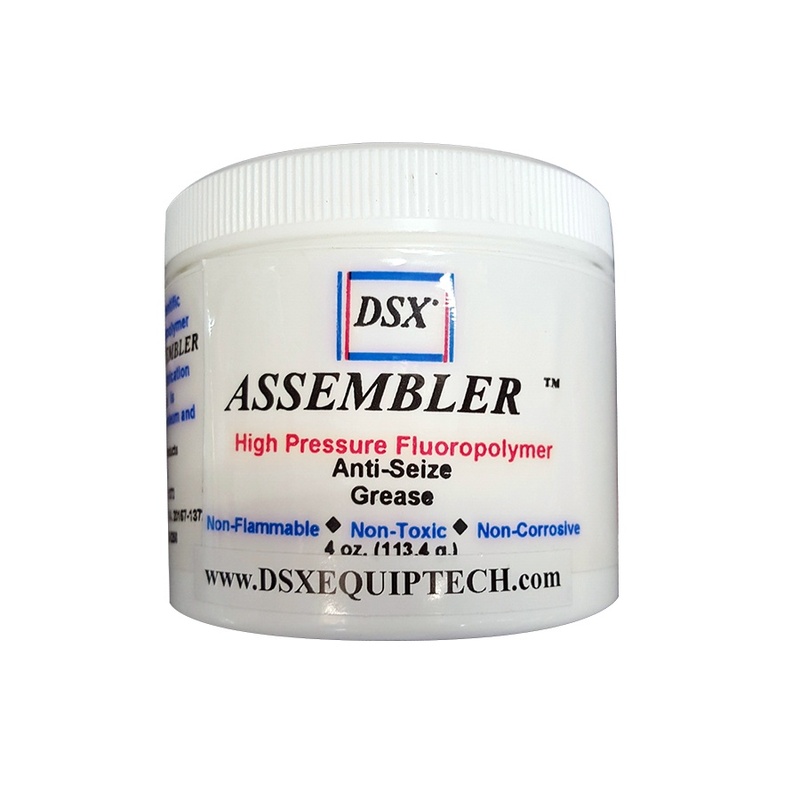 DSX Grease is a blend of synthetic lubricants, polyol and submicron fluoropolymer particles that embed in and not on the bearing surfaces for protection against seizure on initial equipment start-up. 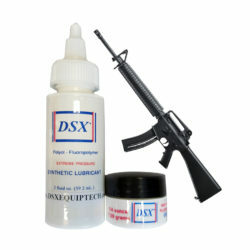 DSX Grease will continue to provide long lasting wear protection at high speed running. Use DSX Grease on connecting rods, main bearings, camshafts, valve lifters, guides, rocker arms and pivots. DSX Grease has been tested using ASTM D-2596, Measurement of Extreme Pressure Properties of Lubricating Greases (Four Ball Method) by FALEX Corp of Aurora, IL. The testing device is operated with one steel ball under load rotating against three steel balls held stationary in the form of a cradle. The rotating speed is 1770 RPM +/- 60 RPM. Lubricating greases are subjected to a series of tests, each test having a duration of ten seconds at increasing loads until welding (seizure) occurs. Results: with DSX Grease, the load increased to 800 Kg (Machine Limit) with no weld. The scar diameter was 2.5mm, which is very small. 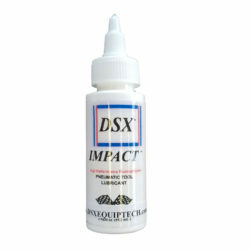 DSX Grease is compatible with and will blend with all motor oils (petroleum or synthetic).